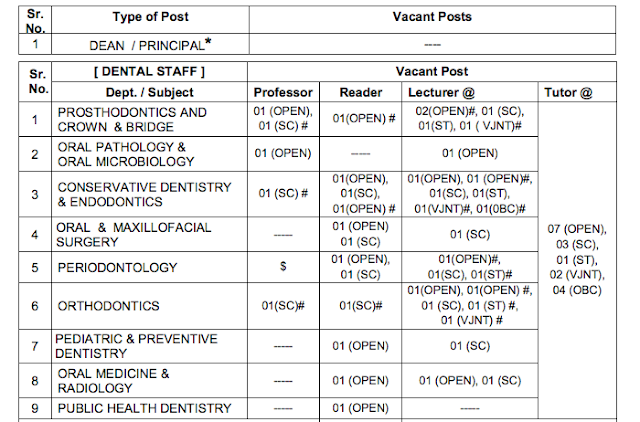 Job Description We are from the K.M.Shah Dental College & Hospital , piparia , waghodia , vadodara. we require the Reader in under mention department. TATYASAHEB KORE DENTAL COLLEGE & RESEARCH CENTRE, Under Mahatma Gandhi Charitable trust invites applications for total of 57 posts. • BDS degree from a Recognized University. • Should be registered with DDC/State Dental Council. the rules in Central Govt. of India. shortlisted candidates (only qualified candidates will be called for interview).